If you’re ready for your property to look fantastic this holiday season you have come to the right place. Green Leaf is here. We are ready to help all the homeowners in Tulsa out this holiday season and we will professionally decorate your home for Christmas. We come, install the lights and test the Tulsa holiday lights to make sure that their working perfectly. Before you know it you’re allowed to enjoy the rest your holiday season and not having to crawl through that dirty attic searching for a wad of tangled Christmas lights. Call us today if you have any questions at 918-640-640. Our ultimate goal here at Green Leaf is to give you the perfect holiday atmosphere for your home. How do we do it? We arrive on-site to give you a free home estimate on what it’s going to cost. We take care of the measurement and we talked to the homeowner to make sure that your vision comes to pass. Our goal is to make sure that you impress your neighbors this year with the best Tulsa holiday lights and we can connect you with the trained lighting technicians and designers in Tulsa. You become the number one priority the moment you give us a call. 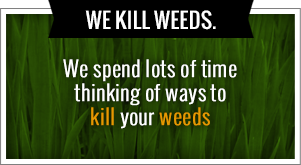 Everybody knows that Green Leaf is known for our lawn care service and weed control professionals. Our ultimate goal during the warm seasons is to provide the landscaping and the ultimate service to help people get their lawn looking the best that it can. But during the holiday season we want to give out even more. We want to put on our red suit and deliver quality service along with Tulsa holiday lights to every homeowner who’s looking to turn their property into a Winter Wonderland. We are the company that meets your needs the best. We understand that during the holidays everyone is working hard. You have a long to do list and you are checking it twice. You have to find gifts, find a tree and book the hotel for your parents who are flying in from Florida at the last minute. 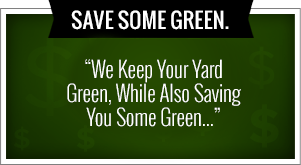 There are so many things you have to get done and Green Leaf is here to help. You don’t have to risk your life climbing on the roof trying to make sure that your holiday lights are straight. You don’t have to go through a big wad and untangle holiday lights this year. Simply hire Green Leaf who can it do all of it for you. If you have any questions for the number one company for light installation please give us a call today. We partner with the very experienced and creative lighting technicians in Tulsa. We want to make certain that your home looks absolutely incredible and all of your neighbors will be envious. Call today for your free estimate on lighting your property today. You can’t go wrong with Green Leaf. If you’re looking to impress your neighbors this year with quality lighting and Tulsa holiday lights in your home please give us a call today. It’s true that Green Leaf is known for our quality lawn care service but during the holidays we put on our red hats and we go straight to work. The ultimate goal that we have is to make sure every customer has the perfect holiday atmosphere on their property. We install the lights, test the lights to make sure they’re working and we don’t leave until the customer is completely satisfied with the result. Call us today at 918-640-6403. We provide service for homeowners, business owners and property managers who are looking to get their property turned into a Winter Wonderland. Whether it’s a holiday party inside of your home or at a rented event our qualified lighting installers arrive on-site to take measurements and offer suggestions to make sure your holiday event is a huge success. If you’re simply looking for someone to hang up lights in your home we do that too. Our goal is to provide you with whatever you need as the number one priority and customer. This is the best choice and decision that you can make during the holiday season. Why? Because all of the sudden your time flies out the window the moment the holidays hit. There are so many things you have to get done on your list and you have to check it twice. You have to find the tree, install the tree, purchase the gifts, book that hotel for your in-laws, wrap the gifts, make sure that the holiday party invites are sent out and the list goes on. On top of that you have to make sure that your holiday lights are on your home and dangle from your roof risking your life to make sure that their straight. Green Leaf is here to help. Our quality team and lighting installers have the right equipment and the expertise to hang up the lights perfectly. Our goal is to eliminate as much stress as possible during your holiday season. When you hire us to put up your Tulsa holiday lights we do an outstanding job and we don’t leave until you’re completely satisfied. We are the company that meets your needs the best and gives you exactly what you want. You receive a free on-site lighting estimate and we do all the measurements for you. For more information please give us a call today or simply visit us online. Allow Green Leaf to take over putting up lights for your household this year. We are connected with the experienced lighting professionals and ideal technicians to make sure that your home looks extraordinary. Give us a call today and eliminate the stress this holiday season. We want your time spent with your family and doing the things that you love like going to see Christmas lights and sledding.